We fast forward to the Book of Genesis. The Israelites find themselves living in Egypt oppressed as slaves. 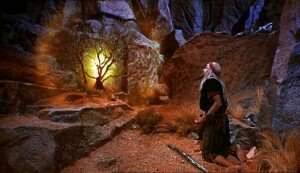 God shows up and calls a man named Moses to perform a specific task. In this message we come face-to-face with a God who uses people like you and me to carry out his will in the world.